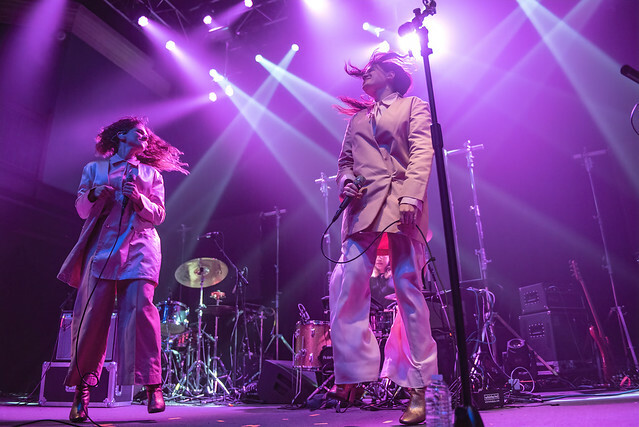 Posted on 11/19/2018 by David LaMason	in Live Review and tagged 9:30 Club, electronica, folk, Hana Elion, JJ Mitchell, Overcoats. Overcoats, the musical duo of Hana Elion and JJ Mitchell, released their debut album, YOUNG, just over a year ago, but they’ve already made a name for themselves with their thoughtful lyrics, beautiful harmonies, and infectious beats. I caught those beats in action at 9:30 Club on Friday, when Overcoats opened Mitski.